Biochemistry and Molecular Biology and Edaphology and agricultural chemistry. 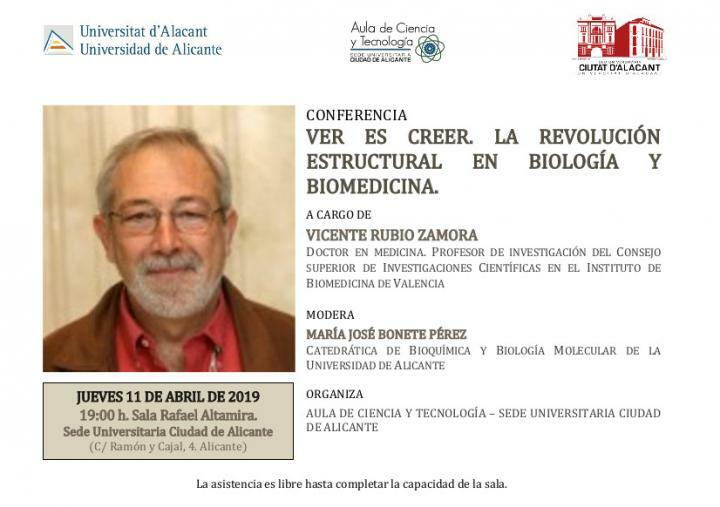 19-21st september 2018 in Alicante (Spain). 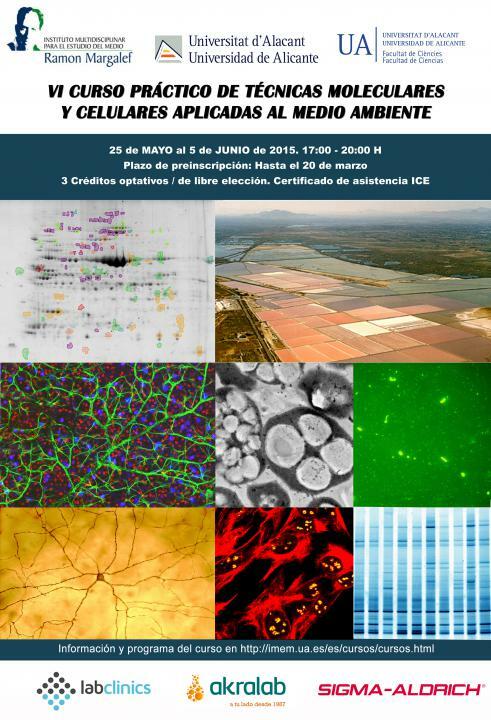 Reading of thesis of Anna Vegara Luque "Glutamine sintetasas recombinantes of Haloferax mediterranei"
11h in the Room of Boards of the Faculty of Sciences. Record of the session and excrutinio celebrated the day 25/05/2017 in the Council of Departmento. 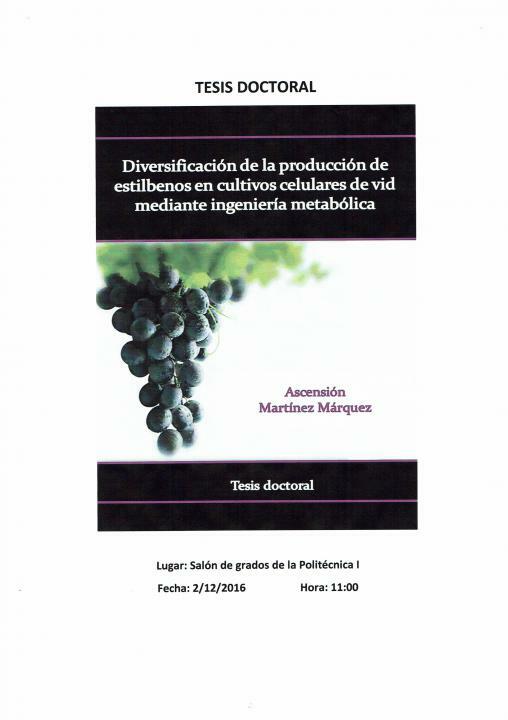 Thesis Doctoral: "Diversification of the porducción of estilbenos in cellular crops of vineyard by means of metabolic engineering"
Dr. María Blasco Marhuenda, Director of the National Center of Oncology Research. Friday, 13 November at 12 o'clock in the events Hall of the Faculty of education. New dates for the course and new deadlines for registration. By the Faculty of Sciences, the prize has been for our partner Rosa Mª Martínez Espinosa. From May 25 to June 25, 2015. 17:00 h to 20:00 h.
Term of registration; until March 20. Aid for the recruitment of staff RESEARCHER in training of character PREDOCTORAL, within the r & d project "metabolic adaptations in HALOARQUEAS in response to different NUTRITIONAL conditions (BIO2013-42921-P)" awarded by the Ministry of economy and competitiveness. For students from last year, will be held 9/09/2014 at the University of Granada in the XXXVIITH Congress of the Spanish society of Biochemistry and Molecular Biology. Revised and expanded the reception plan for the PDI and PAS to facilitate their rapid integration into the AU.